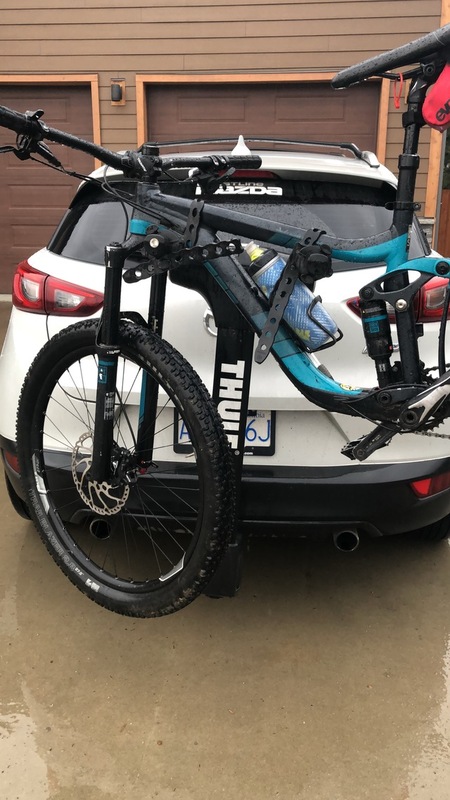 Thule Vertex XT Hitch Mount Bike. It fits 2 bikes and 1 1/4" hitch. It has a built in lock. I have all the parts it came with. I have an adaptor for it to fit a 2” hitch. I bought it brand new less than a year ago.